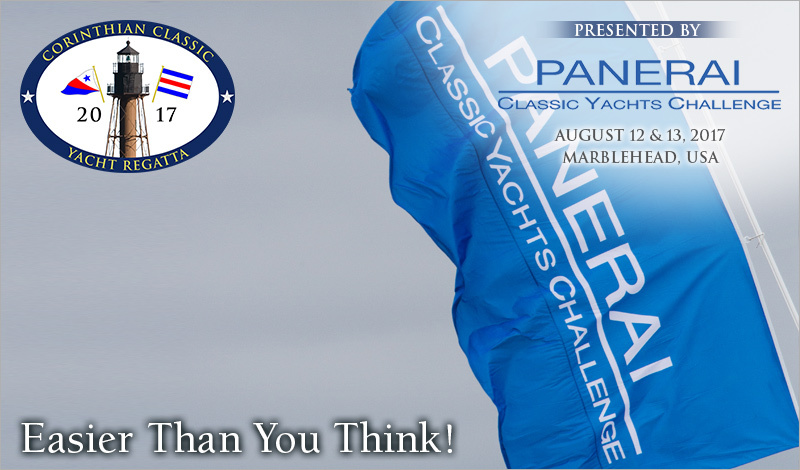 The 2017 edition of the Corinthian Classic Yacht Regatta, as well as all of the North American Panerai Classic Yacht Challenge events, will be conducted under an enhanced and revised rating system. This MODIFIED RATING PROGRAM is now known as CRF MKII. A NEW CRF MKII rating certificate is required for eligibility this season. As the new acronym suggests, CRF MKII is based on much of the former version of CRF. You’ll be using much of the same data you already have. Locate your existing CRF certificate and print it out. Much of the data you need is there. Take advantage of the FAQ’s provided. It really helps. There are links on the application next to many of the measurement questions that will help you. Take a look at them. Repeat – find your past CRF certificate and print it out. It will supply 90%+ of the info you need. PLEASE ALLOW up to 2 WEEKS for your rating application to be completed. ALL ENTRIES MUST HAVE A 2017 CRF MKII RATING CERTIFICATE! If you have questions, please don’t hesitate to contact us: Bruce Dyson – 617-285-1182 or Timmy Dittrich – 781-248-3836.